Due to these misconceptions, thousands of dreams are shattered every year as the students step back and stop trying to get into top foreign universities to complete their higher education. 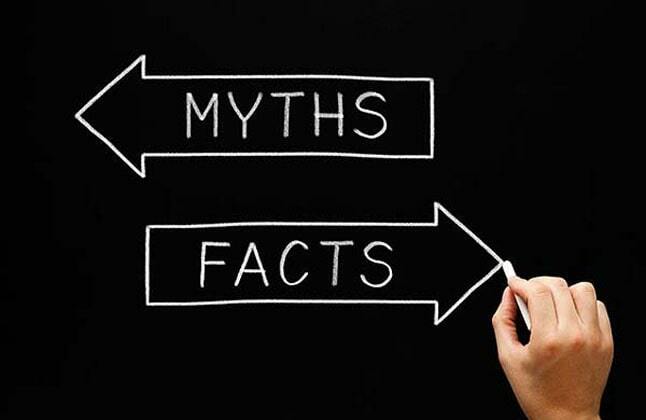 When it comes to a foreign education, a lot of false information reaches potential students that projects an alternate reality and causes them to make uninformed life-altering decisions. Instead of listening to heresy or rumours, it is best to get information from an official or authentic source. With so much happening around the world, like rising instances of terrorism worldwide, there is a common fear and concern among parents about sending their children abroad to study. International universities too understand the concern for safety and have strict protocols and measures in place to ensure safety of students at all time. Moreover they also run intensive crash courses, offer handbooks and have special orientation sessions for international students to help them acquaint them with the alien place and new culture. In most foreign colleges, English is the spoken language and also the medium of instruction. However, before applying, take a look at language pre-requisites or criteria prescribed by your university. Before commencing your course, you can expose yourself to audios that help you understand foreign language accents, speech modulation, and foreign tongue. Take this as an opportunity to a new language or different English in a foreign country is an immense opportunity to enhance your linguistic proficiency. The most effective and fastest way to language learning is to acquire it in a natural context. Furthermore, you will attain near native fluency in English that would enrich your communication skills. Studying overseas goes beyond academics and hones your skills and personality. It helps you get out of the comfort zone and adapt to a different culture. Studying abroad is an excellent opportunity to grow both professionally and personally. With its practice-based learning, world-class academics and facilities, career-focused courses, and a global student community, pursuing higher studies overseas opens a world of opportunities for you. That apart working part-time while you study further helps you learn invaluable life skills. It helps you understand and discover yourself, your culture and your career in an altogether new perspective while offering you several opportunities, both at home and globally. There are many successful entrepreneurs who graduated from top-tier business schools overseas, yet chose to return to India and start their entrepreneurial ventures. At colleges, professors are more like mentors than teachers; very approachable to help students resolve issues related to academics or otherwise. The education culture in foreign universities is based on the ideology of unhindered learning and creating a conductive educational ambience. They believe that for effective learning in no way should students feel threatened. You must know that hundreds, if not thousands of Indians have gone abroad much before your time, and have gained immensely. They are very welcoming. It's about studying, learning and building valuable skills. There is no doubt that some students' view studying abroad as a vacation, going just to party, drink with other students. It expands personal horizons while opening up a world of personal and professional opportunities. Although it should be fun, it's also a serious undertaking that will challenge students on a personal level and have an impact on their academic career. Studying abroad includes taking classes, preferably taught by local professors on locally-relevant subjects - and in the local language if possible. Students will learn about different education systems and ways of teaching. They will find themselves challenging their own ideas and beliefs once they've had a chance to experience an alternate perspective. Employers are always looking out for diversity in the organization which is why they strongly focus on cross-culture promotion. Employers will always value your foreign degree, provided you can prove them that you have the required skills that the organization is looking for. The organization will be interested to see how your foreign degree can help in their profit and long-run. Edwise has really helped me in choosing the right university which has enabled me to take a giant step towards a successful career .All the counselors at Edwise are well trained and well versed in providing information to students. Today owing to the efforts of Edwise many aspiring students have been shown the right direction. Thank You...Edwise." "My experience with Edwise was great. The counselor was very helpful & informative and cleared all the doubts I ever had. I am really very thankful to Edwise for their support and prompt services. When applying to a country like France with very limited consultants deals Edwise are experts for the same." "My son Varun Swaminarayan was counselled by one of the counselors at Edwise. We would like to say that my son was counselled very well throughout the process right from taking selection of colleges to the end of confirming classes in the college. The counselor was always happy to answer our queries. My son's going to be leaving soon and all the credit goes to Edwise." "Right from the counselors to the faculty every person in Edwise has played a role to help me get through University of Portsmouth. A very big thanks to the Edwise team who helped me make my dream come true." "Edwise helped me in building my interest and confidence for higher education, and the mentor has really helped me in applying to the university, given guidance for PTE exams, helped in fulfilling visa formalities and was always there for any help. I am really thankful to Edwise for such a great service. Hope Edwise would prosper more in the coming years."